With profits from pickups more important than ever as sales of cars fade, Chevrolet is making sure one of its biggest cash cows won’t ever get old. Chevrolet said today that the next-generation Silverado HD will debut next year as a 2020 model. 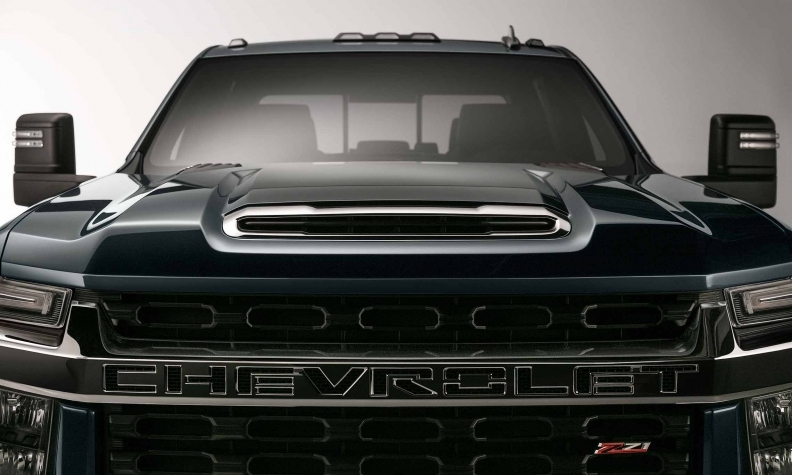 Chevrolet on Tuesday released the first teaser image of the 2020 heavy-duty Silverado. Heavy duty pickups, often kitted out with opulent luxury features, are some of the most profitable vehicles sold by General Motors, Ford and Fiat Chrysler Automobiles. Chevrolet has been left in the dust by Ford, which has opened up new market segments with such vehicles as the ultraluxurious F-450 Super Duty Limited 4X4, which can top six figures once sales taxes are added. In addition to consumer versions of the Silverado 2500 and 3500, Chevrolet is moving to directly challenge Ford with all-new versions of Silverado 4500 and 6500 chassis cab medium-duty trucks. These models are sent to upfitters who use the chassis for ambulances and other commercial vehicles. Ram offers a 4500 chassis cab model. The 2020 Silverado HD will be built in Flint, Mich., and production is scheduled to start in the third quarter of 2019, Chevrolet says. Ram also plans to offer a freshened version of its heavy-duty pickup next year.